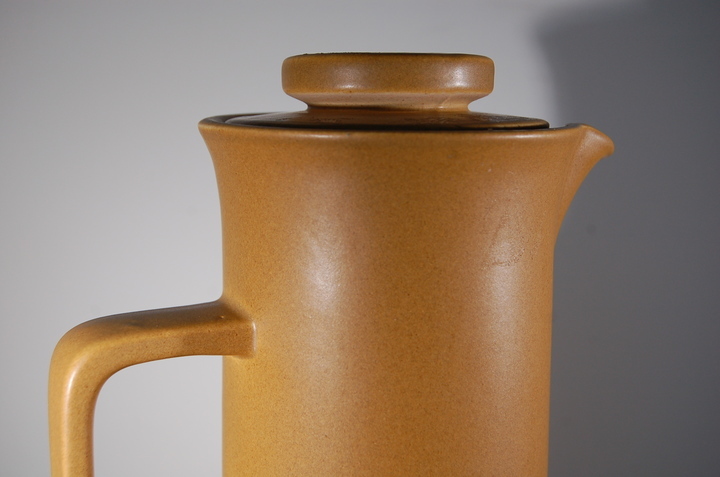 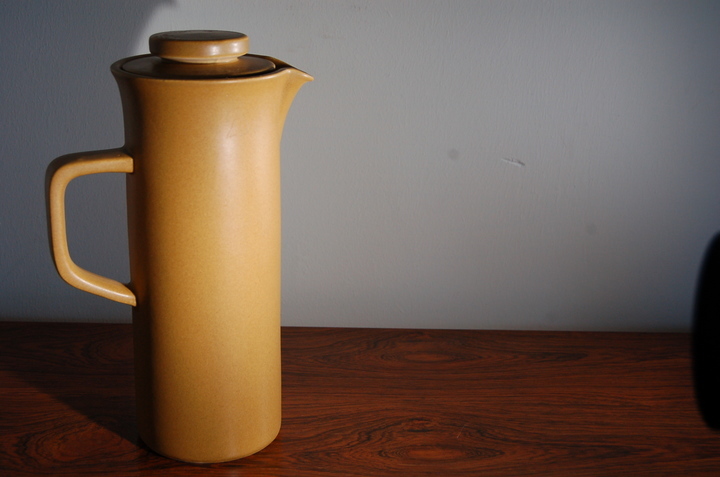 Coffee pot or hot milk jug in an unusual mustard colour. 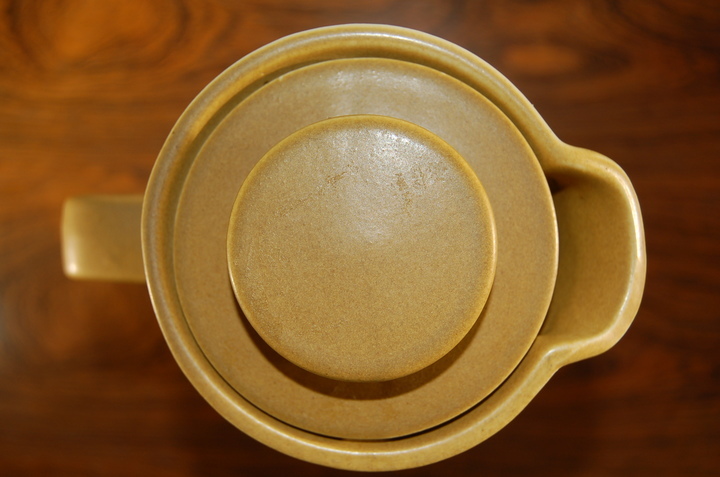 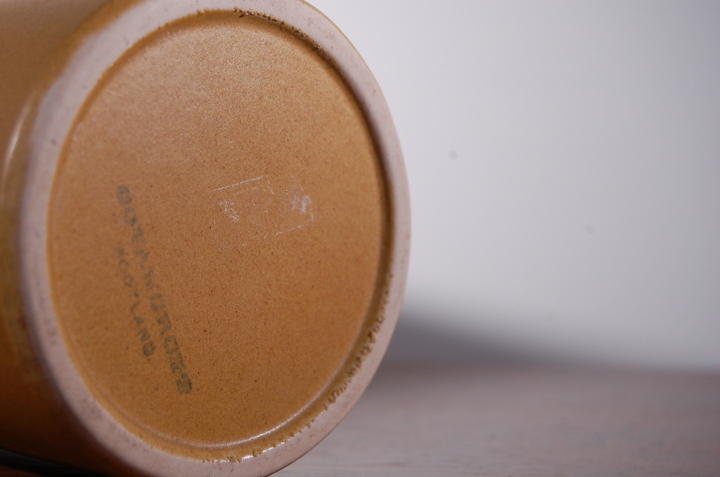 Lovely matt finish to this stoneware. 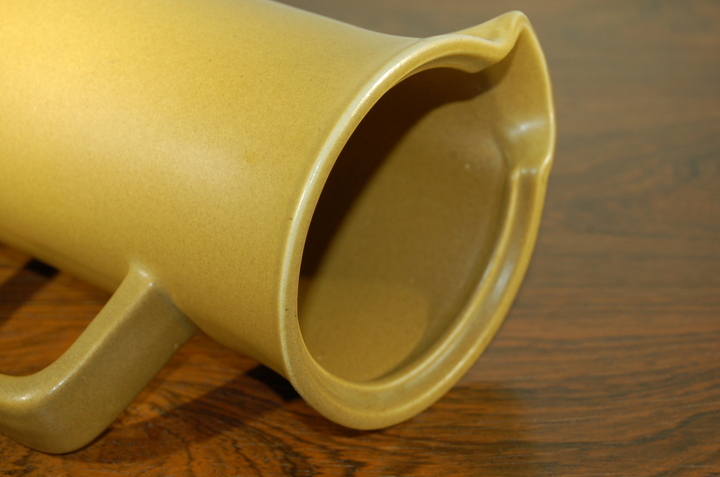 Govancroft had huge premises on London Road which closed in 1976.